Los Prietos Campground is one of the many campgrounds that lay along the Santa Ynez river in the Santa Ynez National Recreation Area, due north of the town of Santa Barbara. Other campgrounds within the recreation area include the smaller Fremont Campground, Paradise Campground, and the upper and lower Oso and Camuesa campgrounds. At the time of our visit in mid July 2011, the Oso and Camuesa campgrounds were closed as a result of heavy rain that destroyed the bridges leading to them. Unfortunately, with the budget shortfalls affecting both the state and federal parks systems, these roads had no timetable of reopening, but are likely repaired at the time of this post. The campground is open April 1st through October 30th. There are a total of 37 campsites with fire rings, barbecue, and a picnic table at each site. Most sites can be reserved on Reserve America, but there are a select few available on a first come, first served basis. For reservations, you are required to book at least 4 days in advance, and each campsite is $20 per night. Los Prietos has the luxury of flush toilets and and garbage bins, but there are no RV hookups available. Firewood can be purchased from the camp host, who will likely visit you in their golf cart to check you in when you first arrive. White Rock Day Use Area is less than a quarter mile away as well. The campsite itself is hard to miss, as long as you’re paying attention to the marked NFS signs. We had site # 30, right in the middle of the camp. The map is displayed below. The campground is laid out on the side of a hill, and stretches more sideways than vertically. The sites towards the inside of the campground are largely exposed, and there isn’t much separation by the way of trees or bushes throughout the majority of the campsite. The loop towards the right of the map above has the best campsites, best according to privacy and division. The two creeks displayed in the map are rather misleading – they are only filled with water when it rains. If you do nothing else at this campsite, don’t book the campsites directly near a bathroom. Although the toilets are flush and it never went past 80 degrees when I was visiting, the stench often wafted over to where my site was 50 yards away. Sites I would recommend – in no particular order, although #15 and #16 were unanimous favorites of my buddies – are #15, 16, 6, 11, 17, 19, 20, and 22. The best part of this campsite is hands-down the proximity to the Santa Ynez river, which in rainy years flows steadily all year round. I recommend avoiding the main tourist river access points, such as the one almost directly across the road from the campsite. The spot that we found was past the Lower Oso day use area, where you park before walking along the river, past the main day use area. There’s a small trail right next to the edge of the river, find it and take it for a few hundred yards and you’re at the swimming hole. This is the only point we found all day where the water is deep enough to actually swim in (of course all dependent on the year’s rainfall). The water is clean and warm; plan on spending a solid chunk of time, and bring a picnic lunch and some cold drinks! Overall, we really enjoyed our time at Los Prietos. It isn’t the coolest campground around, but its location can’t be beat. Even if you chose not to go swimming in the river, you’re within a half hour of both Santa Barbara and Solveng, as well as the great fishing of Lake Cachuma and the beautiful Santa Barbara coastline. Just make sure to check the conditions of the river before you leave, as this last year has been a tough one for rain (a good site for river information is Friends of the River). Click here to make reservations, and let us know what you think of the site below in the comments! Thanks for your Yelp Reviews and blog post. 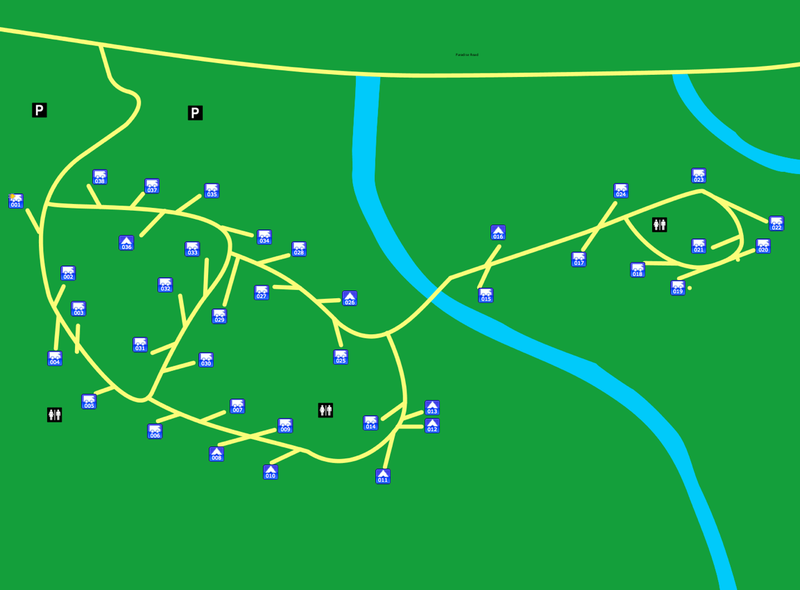 I’ve been trying to figure out which of the campsites would be best. Looking for a secluded pretty spot for tent camping- restrooms and showers are not needed. Would you recommend Paradise or Fremont or Upper Oso if you had your pick? Location-wise they all “seem good”. Thanks for your help!